On 17th February 1688, Presbyterian minister James Renwick was hanged in Edinburgh’s Grassmarket. He would be the last Covenanter to be publicly executed. James Renwick had been declared a rebel after renouncing his allegiance to King Charles II in 1680, declaring him a tyrant and usurper. The Covenanters resisted the efforts of Charles II to impose Episcopalian rule on the Scottish Kirk. After the death of King Charles, his Catholic brother came to the throne as James VII and II. James had actively persecuted the Covenanters before he came to the throne and the Covenanters rejected his right to be king. James Renwick was hunted all over Scotland until Government troops caught in February 1688. It is believed he was betrayed by a fellow Covenanter during a secret meeting in Edinburgh. 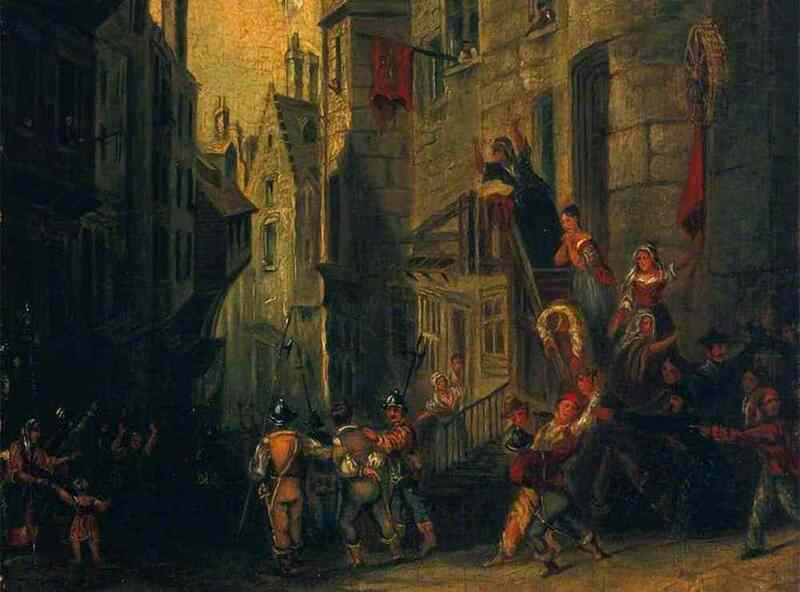 After refusing to swear an oath to King James he was hanged in Edinburgh’s Grassmarket at the age of 26. The persecutions of Covenanters would end with the removal of King James and the ascension of William of Orange and his wife Mary (James’ daughter) to the thrones of Scotland and England in the ‘Glorious Revolution’ of 1688.